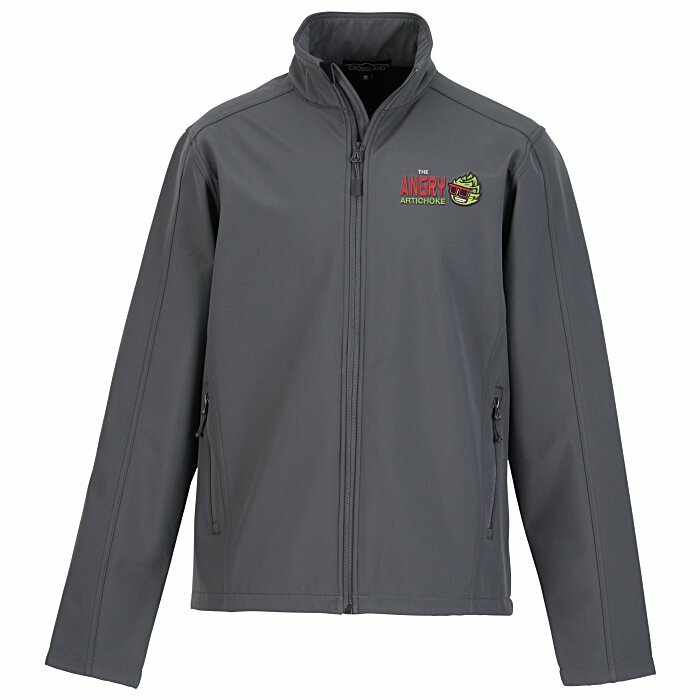 Set your company up for success with embroidered Crossland® outerwear! 8 color(s) to choose from! Please select an item color above to view size options. 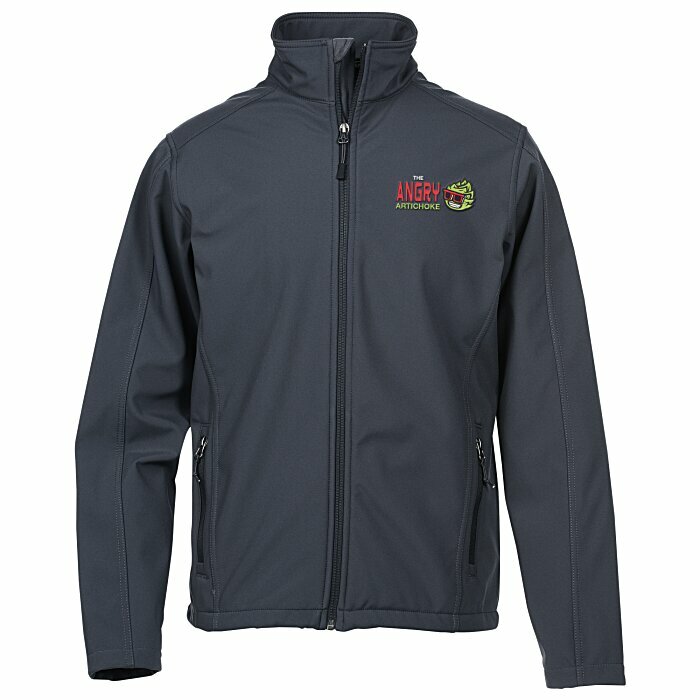 These soft shell jackets have a 100% polyester woven shell bonded to a 100% polyester microfleece lining. 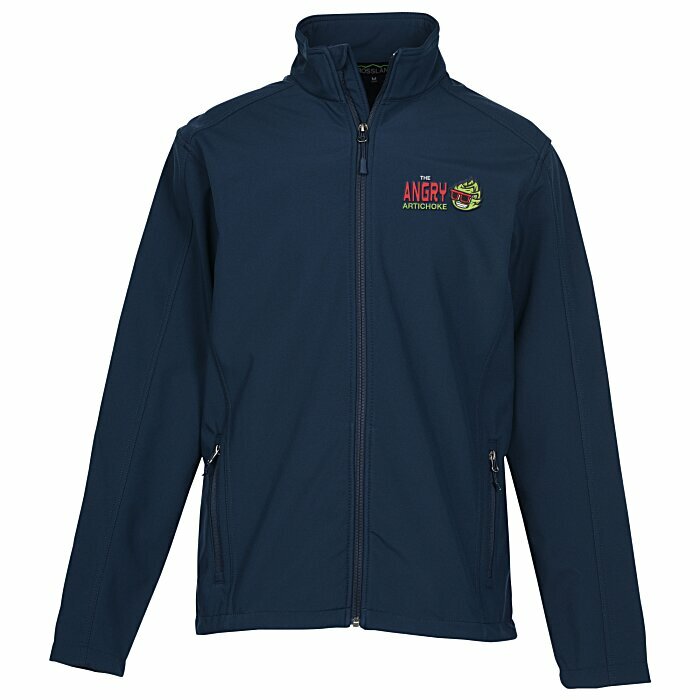 Jackets are both wind- and water-resistant for outdoor wear. 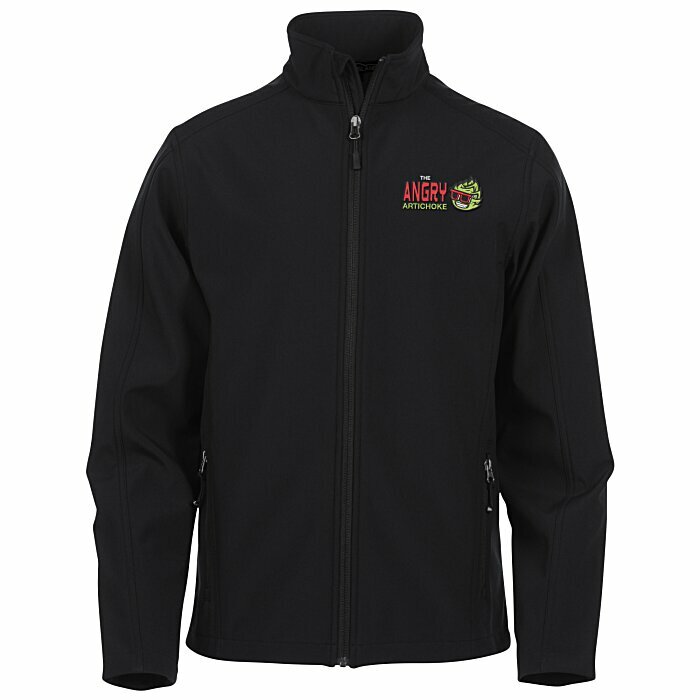 Designed with a zip-through cadet collar and a chin guard for extra coverage. 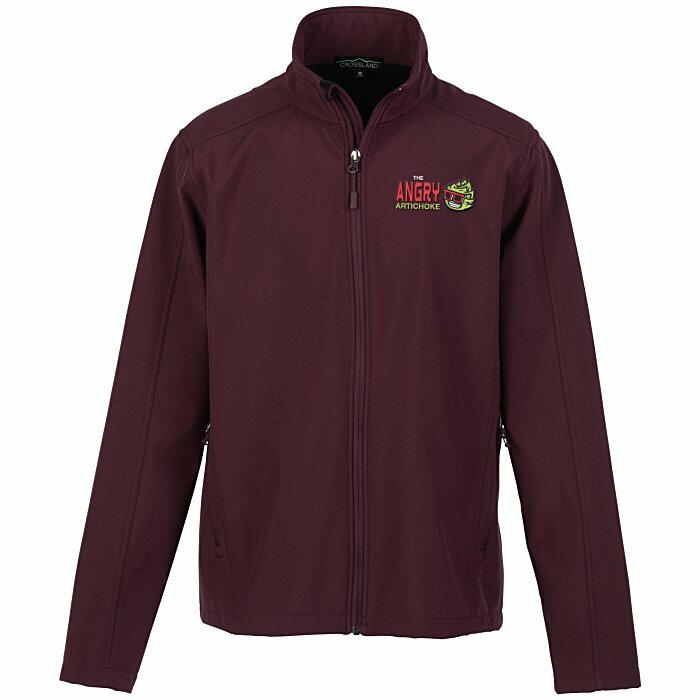 Store personal items inside a pair of front zippered pockets. Form-fitting jackets are tapered for a closer fit throughout. 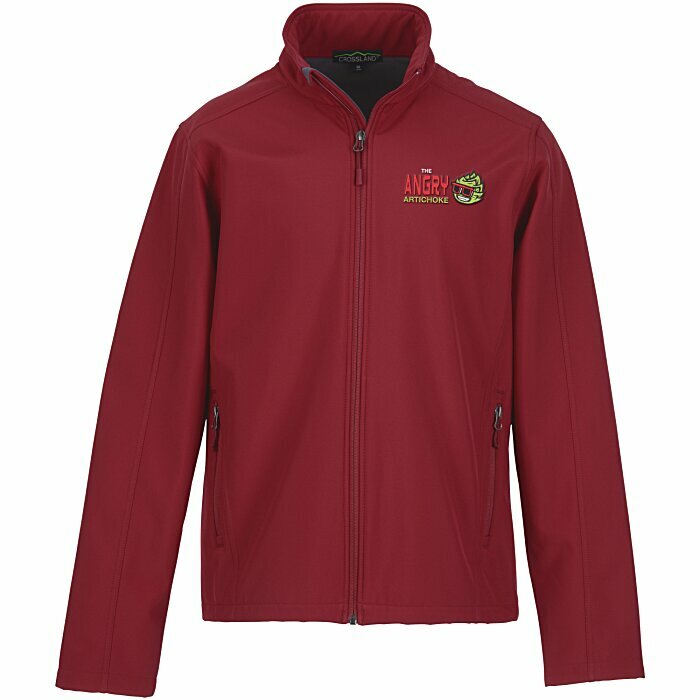 For the coordinating ladies’ jacket, see item #120156-LCrossland Soft Shell Jacket - Ladies’. 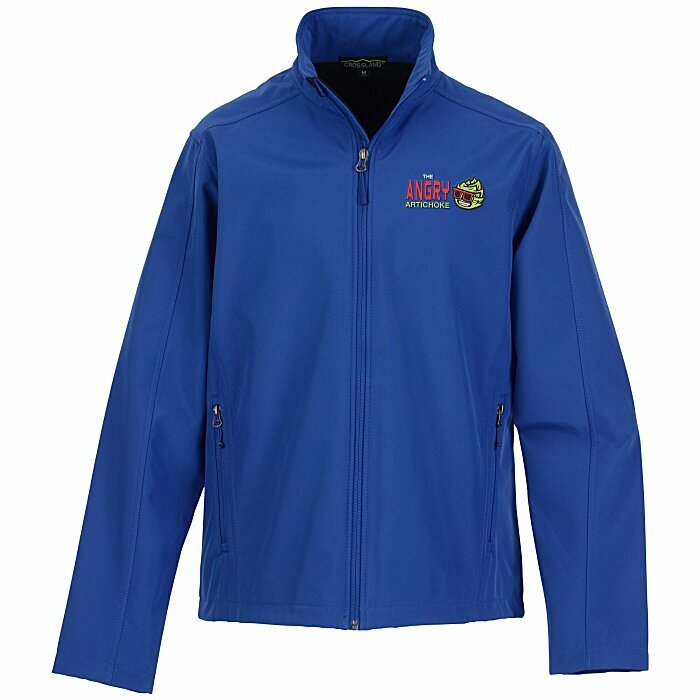 No charge for upsizing or tall sizes!